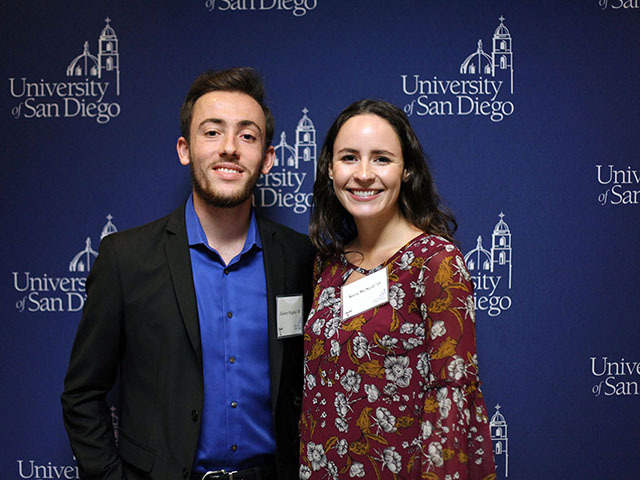 Since reaching endowed status in 2005, the Bridges Academy Endowed Scholarship, supported by the attendees of Bridges Academy, has been awarded to two students per year. The growth of the endowed fund has allowed us to give larger scholarships each year, greater impacting the lives of our deserving students. The 2017-2018 recipients are Kiera McNeill '19 and Zackary Hughes '20. They had the opportunity to meet and celebrate with supporters of Bridges Academy at the Bridges Academy Holiday Luncheon in December 2017. Please click here to view photos of the luncheon. Thank you for your support of the Bridges Academy Endowed Scholarship!